It is with great sadness that we have to inform our readers and authors of the death of Professor Melanie Jasper. 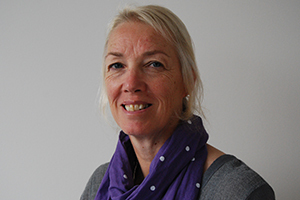 Melanie has been the Editor-in-Chief of the Journal of Nursing Management for over 12 years, and she will be sorely missed by her colleagues in the editorial team and by the wider nursing community. Melanie was also the Head of the College of Human and Health Sciences at Swansea University. Melanie was an inspirational leader, supportive colleague and caring friend. She will be sorely missed by her colleagues within the College and University, while messages of condolence from colleagues further afield bear testimony to the esteem and regard in which she was held. She was a passionate advocate and promoter of the College and her profession and we will certainly miss her enthusiasm and motivation. The award of the Nursing Times Nurse Education Provider of the Year last week is a fitting testimony to Melanie’s leadership and one which the College will strive to build upon as a lasting legacy to her leadership of the College. On a personal note I regret that I cannot thank her for the support and encouragement she provided in developing my career – which I suspect applies to many colleagues at this sad time. The tragedy of her being taken so suddenly and at a relatively young age causes us to reflect on the fragility of life and the need for us all to strive to make a difference in the things that we do – and which Melanie did in such abundance. On behalf of INANE, we send our deepest condolences to Melanie’s family, friends, and professional colleagues. This entry was posted in Announcements, In Memoriam by Leslie. Bookmark the permalink.